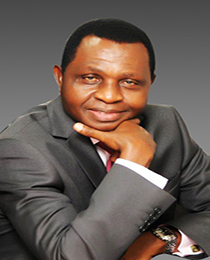 He attended The University of Lagos, Akoka and obtained a Bachelors Degree in Finance (Banking) in 1980. He also holds a Masters Degree in Banking and Finance in 1998 from the same University. He became an Authorized Dealing Clerk of The Nigerian Stock Exchange in 1985 as well as a Fellow of the Chartered Institute of Stockbrokers (FCS) in 1996. Mr. Bosun Adekoya has a combined experience spanning over 33 years as an Investment and Corporate Banker in the Nigerian Capital Market. He started his Banking career as an Executive Assistant when he joined NAL Merchant Bank Limited (later NAL Bank Plc), in 1981 and was deployed to Nigerian Stockbrokers Limited. During his stay in NAL Bank, Bosun was involved in various activities and responsibilities in Investment and Corporate Banking. As part of his Investment Banking activities, he handled various Capital Market Issues which ranged from Public Offers, Rights Issues, Debentures, Mergers and Acquisitions, Management Buy Out transaction as well as Transfer of shares between Local and International companies. He also, between 1994 and 1998, worked in Corporate Banking as the Head, Conglomerates Foods and Agriculture Group and carried out various forms of lending activities in NAL Bank. During the Merger of NAL Bank and four (4) other Banks, in 2005, which became Sterling Bank Plc, he was appointed the first Managing Director/Chief Executive of Nigerian Stockbrokers Limited by the Board of NSL, the position he holds till now. He has contributed immensely to the Stock Market. He was at various times Joint Chairman Disciplinary Committee of The Nigerian Stock Exchange from 2001 to 2005. Member, Lagos/Ibadan Branch Council which covers Abeokuta and Ilorin Branches of the Exchange. He had also represented NSL at the National Council of The Exchange between 1986 and 1987. He also serves as a Chairman of an Investigating Panel at the Chartered Institute of Stockbrokers. She is a graduate of the University of Ibadan where she obtained a B.Sc Degree in Economics. She is an Associate Member of the Institute of Chartered Accountants of Nigeria (ICAN) and Chartered Institute of Stockbrokers (CIS), as well as Associate Accounting Technicians (AAT). 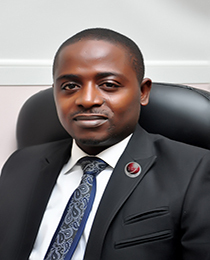 Oluyemisi has a combined experience spanning over 7 years in Capital Issues, Financial Advisory Services, Financial Control, Compliance, Risk Management and Investment Banking. She was the Group Head in charge of Capital Issues and she is experienced in Right Issues Share Reconstruction as well as Special Placing. covers extensive experience in Treasury Marketing, Financial Institutions Management, Consumer/Retail Banking and Banking credit creation. Mede has previously worked at Safetrust Savings & Loans Limited, Liberty Bank Plc, NAL/Sterling Bank Plc and Keystone Bank Limited over the past 16 years. At Keystone Bank, she was instrumental in designing and implementing a bank wide framework for correspondence banking to include Microfinance Banks and Primary Mortgage Institutions (PMIs). This initiative was significantly responsible for growing the Bank’s branch balance sheet under her management by over 500% within 12 months. Mede was also the Head of her Region’s Asset and Liability Committee. She has a Bachelor of Law (BL) degree from the Nigerian Law School and LLB Hons from Edo State University, Ekpoma, Edo State. 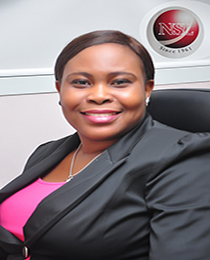 She has attended several courses in Treasury Marketing, Trade Finance and Corporate Credit. 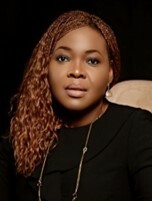 She is a member the Nigerian Bar Association (NBA) and Association of Professional Women Bankers (APWB). He is a graduate of Ambrose Ali University where he obtained a Bachelor of Science Degree in Economics. He also holds a Masters Degree in Business Administration from University of Calabar. He is an Associate member of the Institute of Chartered Accountants of Nigeria, Chartered Institute of Taxation and Chartered Institute of Stockbrokers. He had worked at different times with Adekunle Majekodunmi & Co. (Chartered Accountants) and as Head, Financial Control at De-Lords Securities Limited before joining Nigerian Stockbrokers Limited in 2013. 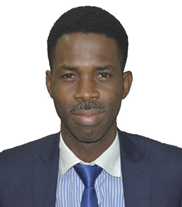 With a combined experience of almost a decade and a half, Mr. Bello has demonstrable experience in Investment Management and Planning with proven expertise in Recovery Services. Afees obtained his first degree from University of Ilorin where he graduated as the best student in the Finance Department. He is an Associate (ACS) of Chartered Institute of Stockbrokers, an Authorized Dealer of The Nigerian Stock Exchange (NSE) and a CFA Charterholder. A finance professional, Afees has almost a decade wealth of experience in portfolio management, corporate finance, trade execution and structured finance. He partook in the structure and launching of Haldane McCall Equity Real Estate Investment Trust (HMK REIT) at Goldbanc Management Associates Limited. He is currently the Head, wealth Management department where he specialises in portfolio analysis, investment advisory and review of securities held by High Net worth Individuals (HNI).